More beaded baubles to list !!! 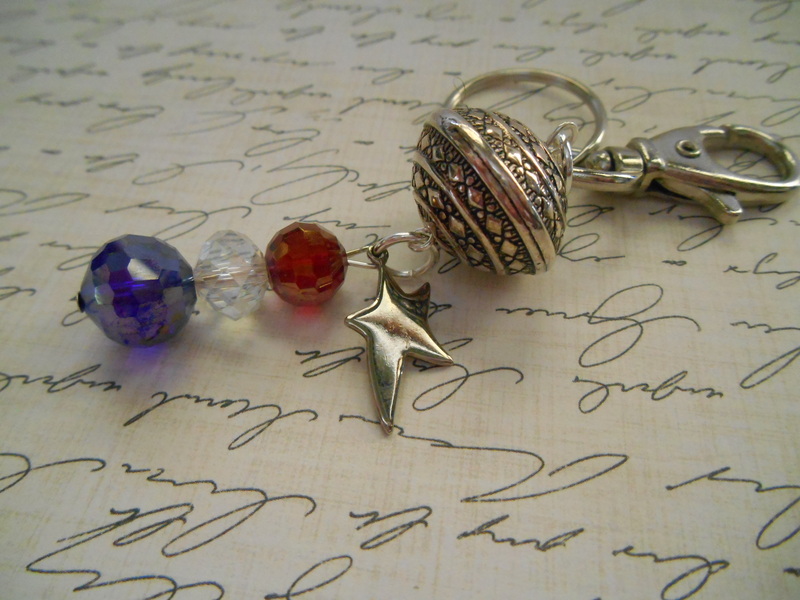 I have been busy creating new pretties for my Etsy store today !! 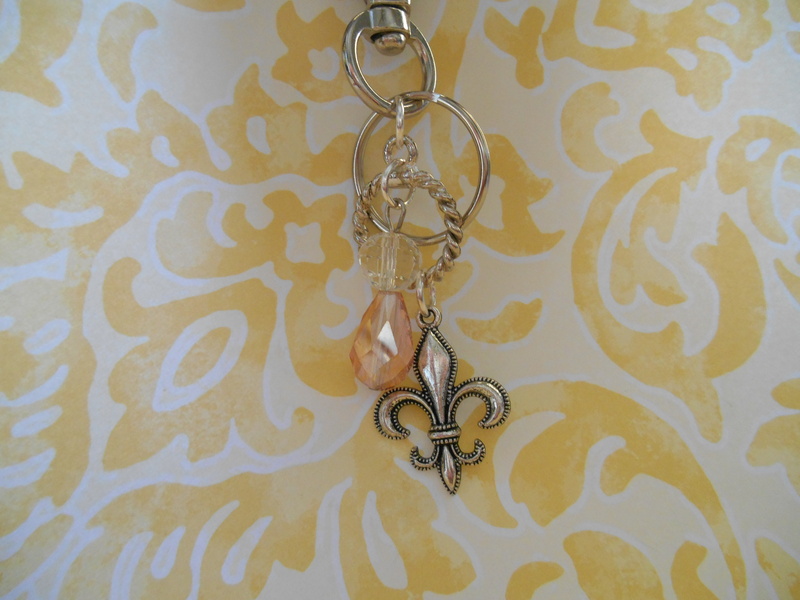 I love making the key chain/ purse hooks, and love coming up with unique and one of a kind pieces !! Here are some I am about to list !! I love this kind of Tiffany blue green glass bead and I used really sparkly glass clear beads and a big metal bead to add a bit of size to the piece. 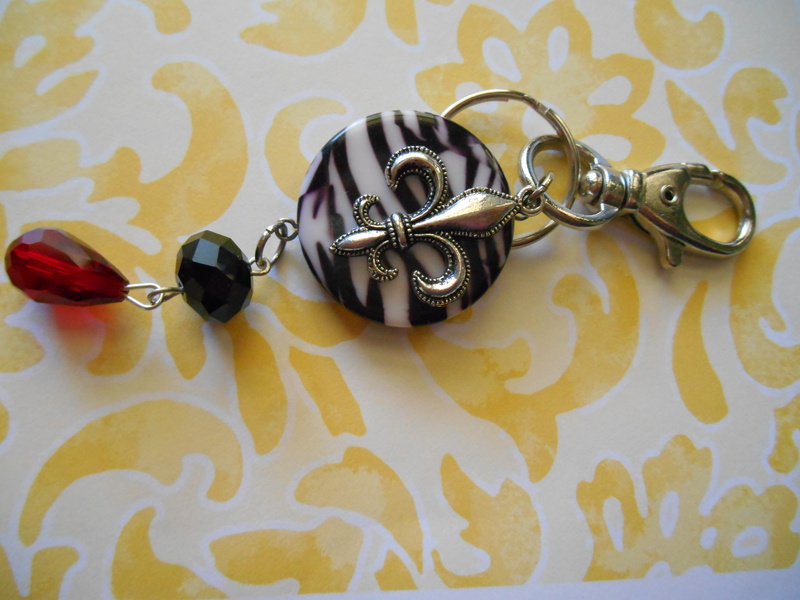 zebra print and fleur de lis, never can go wrong with that !!! The zebra bead is from a necklace I took apart !! 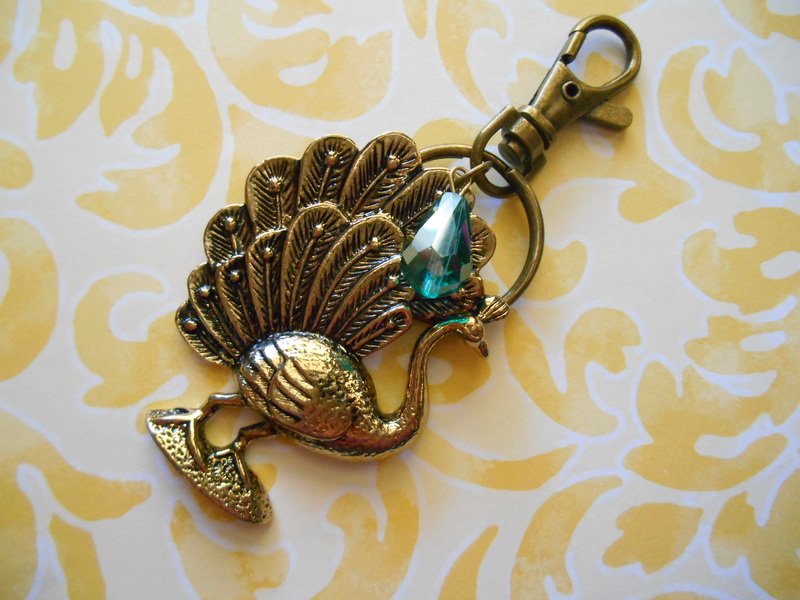 Love this cute peacock , added a pretty bead for some color !! 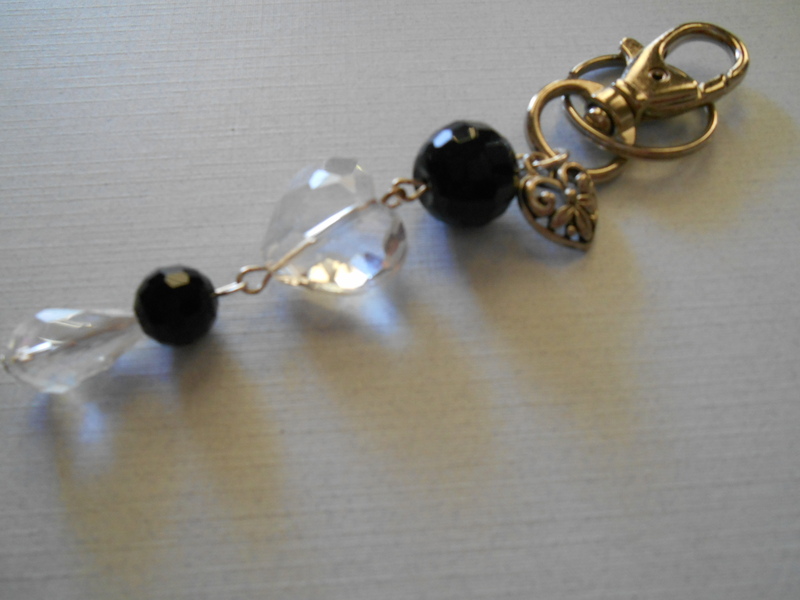 Since I am no longer going to sell jewelry, I am taking apart many of my pieces including the bracelet that included the chunky heart and black bead. 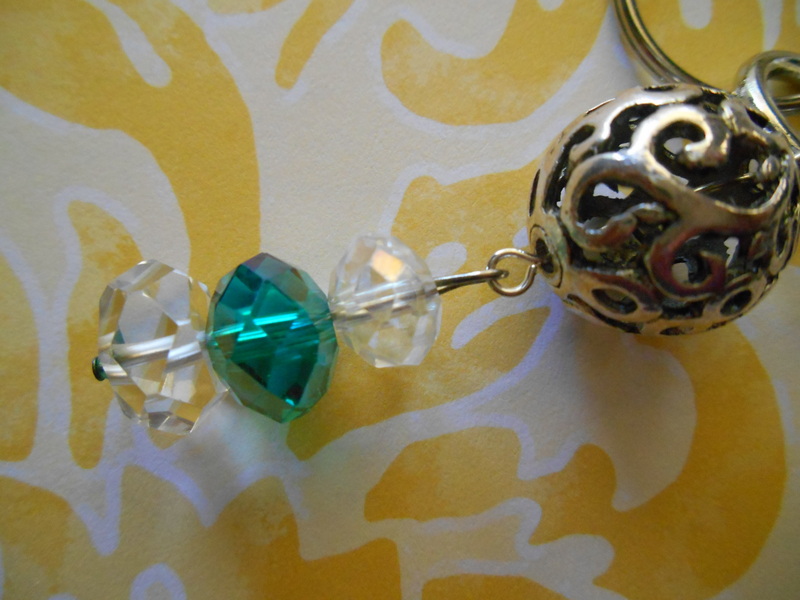 I added the smaller beads and heart charm to make this fun keychain. THis next one is a really pretty one. I used a huge hemetite bead, with two cultured pearls and a pendant charm made from abalone shell, I took it off of a necklace I bought on clearance from Chicos, and original price of that necklace was very high, so it is a quality piece and I have used bits and pieces from that lovely necklace for many of my creations the last few years. 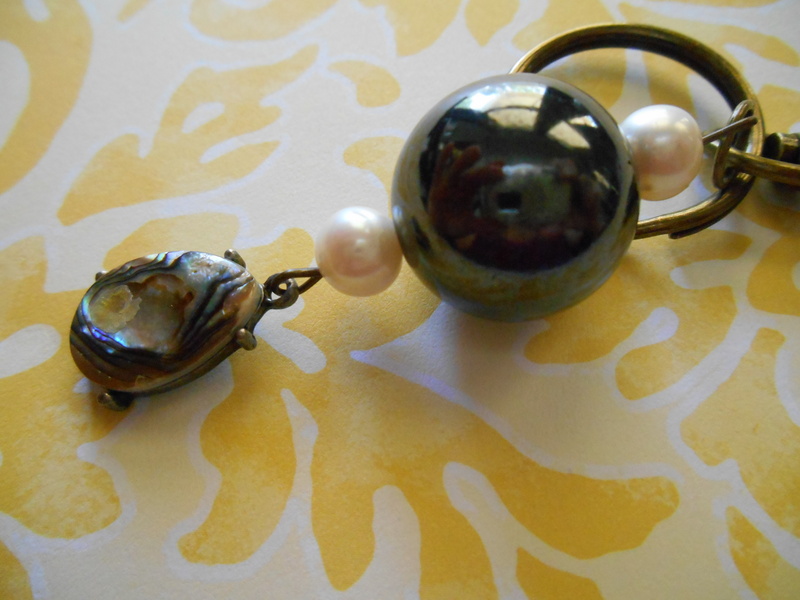 I used antique brass to match the setting on the abalone and it is a pretty keychain. Taking pictures !! 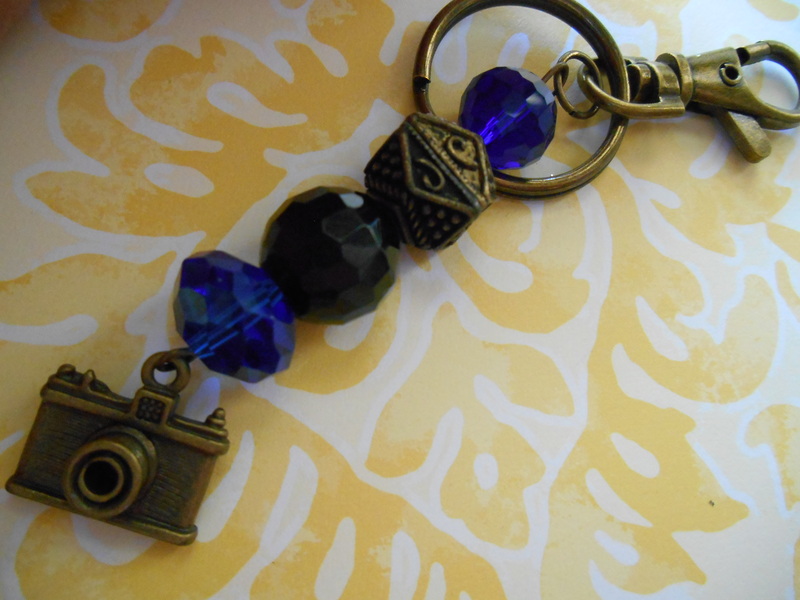 I love this little camera, I have two in brass and two in silver and I think they are just too cute ! 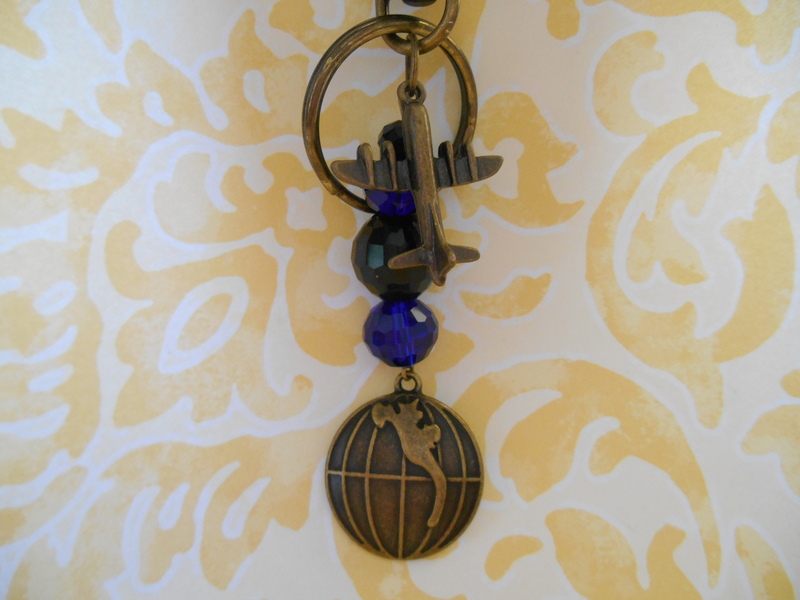 Again combined with the rich cobalt and black the antique brass just is so pretty !! That is what I was up to today, that and working on one of my custom orders. I am getting close to finishing that one, but the bigger one will take some time !! I hope you are all having as wonderful and beautiful of a day as I am , it has been wonderful in North Texas this week !!! 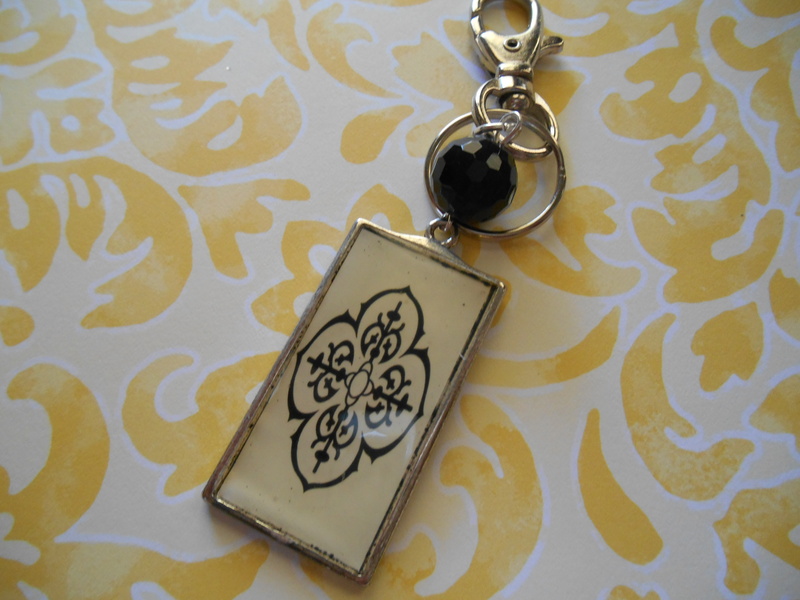 ← Been busy creating, custom orders and other fun stuff !! !